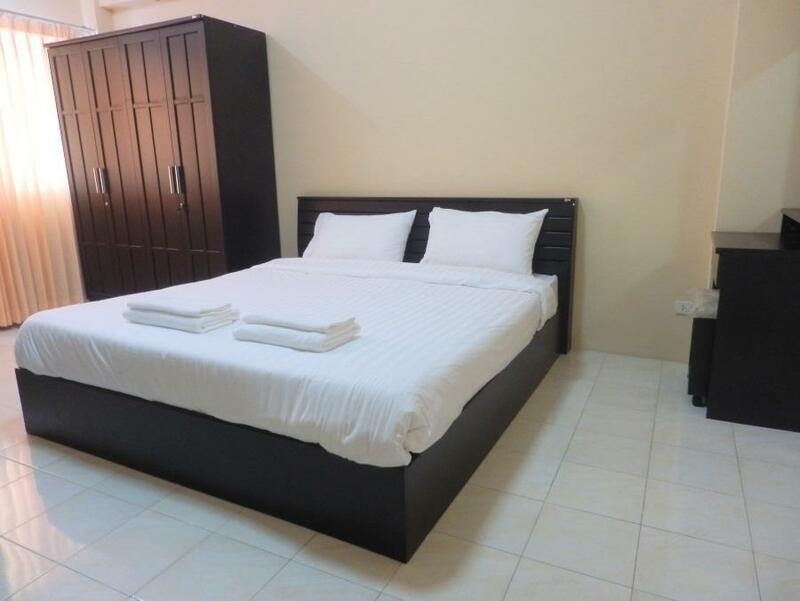 there are 3 buildings and bbg garden s one of oldest building.Room is clean soft mattress.Lovely pool and gym.There re a lot of local seafood restaurants and coffee cafe nearby.Wonnapa beach just a few minutes walk. The mattress was hard as stone. For a dobbel room it was 1 bottle 0.5 liter water free. Not possible heat water to make coffee or tea. Waste time for waiting a staff check in-out, Noise from loudness, a little far from beach-front. We waited for 30 mins in reception as the receptionist was off having her lunch. When we got to the room the bed was similar in texture to a rock, making sleep all but impossible. The bathroom is small but clean. In the morning, the same girl tried to barge into our room while we were still there. As we checked out we assumed our trials were over, but no - the maid then thought we'd stolen one of their towels (turned out they hadn't given us enough in the first place). Definitely one of the cheaper places in Bangsaen, and with good reason. this place is quiet and save for a girl cause it has cctv and security card for 24 hours and used card for open apartment door but restroom is not well, it's normal not match for paid.